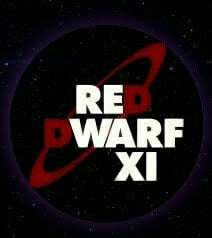 I used to be a big Red Dwarf fan; loved it, though I started to loose interest when the crew were imprisoned. Not sure which series that was, but afterwards it improved and the final episode had the perfect denouement and provided a neat ending. Think that was 8. My least liked series bar the last (12) Writing was weak in 8 but 12 was abysmal. First series was as usual hairshirt due to no money but it was good enough to give us a generation of fun. Surprising gly clever ideas In it.